The 2017 Barclays Accelerator is in full swing at the Rise fintech innovation hub in Woodstock, Cape Town, with ten fintech companies on site, participating in a tried and tested start-up accelerator programme presented by Barclays Africa in conjunction with US-company Techstars. The 13-week programme sees startup fintech companies follow a growth acceleration curriculum designed by Techstars, which has supported more than 900 technology startups across 23 cities around the world. The experience is enhanced through the involvement of a network of local and global mentors, as well as Barclays Africa executives, who help shape participants’ business plans and development. The experience is enhanced through the involvement of a network of local and global mentors, as well as Barclays Africa executives, who help shape participants’ business plans and development. The intensive programme requires substantial support and this would not be possible without enthusiastic associates who help drive the process, alongside Yossi Hasson MD, of Techstars Africa. These associates assist with a variety of tasks throughout the full duration of the programme and no task is too big or too small for them. In addition to supporting the day-to-day running of the programme, they ensure that participants’ every need is met. Their daily tasks can cover a wide variety of disciplines, including marketing, business development work, research, content generation, pitching preparation and more! The 2017 Barclays Accelerator programme is supported by an impressive team with technology and developer support provided by Tim Lind, whose skills in system thinking and solution design are at the core of his start-up studio ‘Incremental Code’. He is supported by Lebo Miya, who has a long track record of assisting in the development of the youth coding community in Cape Town. Brendan Meyer, Lauren Davies and Minnouw Coetzee pool their creative skills to help propel programme participants’ skills in branding, social media and marketing capabilities. Additionally, Cerina Buizdenhout and Juan Romera are leveraging their global corporate experience to help shape participants’ commercial offering into viable, scalable companies across the region. Furthermore, Mark Berman is back from Seattle where he has coached top CEOs and executive teams, with his strategic contributions generated millions of dollars in revenue. So why have these individuals taken three months out of their day jobs to be part of the Accelerator programme? Regular Rise members Lebo Miya and Tim Lind speak about the amazing opportunities available by simply being in the space. For some of the team new to the Cape Town ecosystem, it is an effective new way to build networks locally and tap into Techstars’s global community. The experience is likely to push not only the programme participants out of their comfort zone but the associates too. The sense of satisfaction that associates are likely to feel at the end of the programme will no doubt be rewarding. As an organisation with a history of technological firsts, Barclays is excited by the transformations currently taking place in finance, technology and business. The product innovations and industry developments that used to come from large corporations and institutions are now being created by entrepreneurial individuals around the world who are working with increased speed to disrupt the business models of the past. In order to work with these entrepreneurs in a mutually beneficial way, Barclays established Rise. 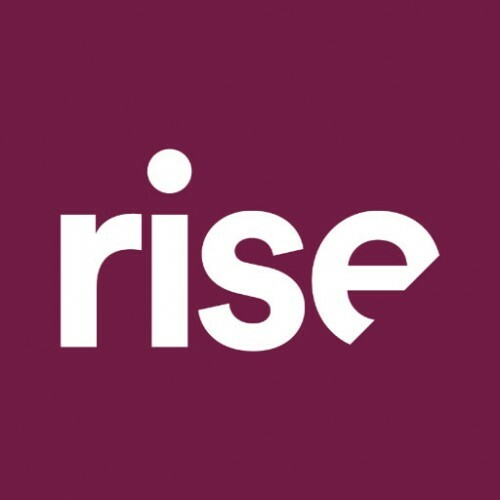 Through its global network of connected sites in seven of the world’s top FinTech ecosystems, Rise delivers numerous programmes that facilitate rapid engagement between Barclays and the Rise community in order to solve some of the biggest challenges facing financial services. These programmes foster long-term mutually beneficial relationships, designed to scale early prototypes and new business models into live products and services. By collaborating with Barclays, our members receive advice and mentorship from some of the world’s leading experts in financial services, as well as having access to a new global customer. With a global network of talent, world-class innovation programmes and workspaces, Rise is a curated community where the best and brightest can develop, collaborate, and scale together.